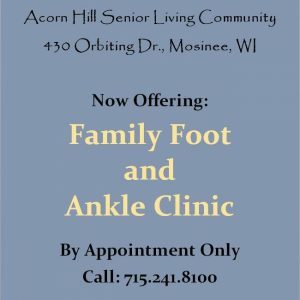 Thank you for your interest in Acorn Hill Senior Living Community and Residential Care Apartment Complex. 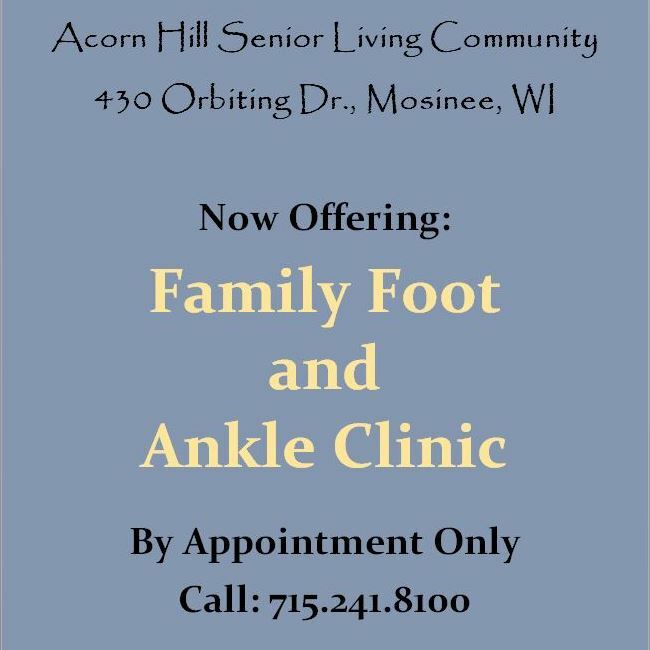 You can also apply in person at Acorn Hill Senior Living Community, 430 Orbiting Drive, Mosinee or call 715.693.8844. All resumes are kept on file for one year. During that time, should a position become available for which you may qualify, a human resources director will follow up with you. 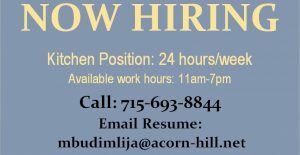 Caregiver Positions: Night Shift (10pm-6am) – Certified Nursing Assistants (CNA’s) & Personal Care Workers (PCW’s) needed. 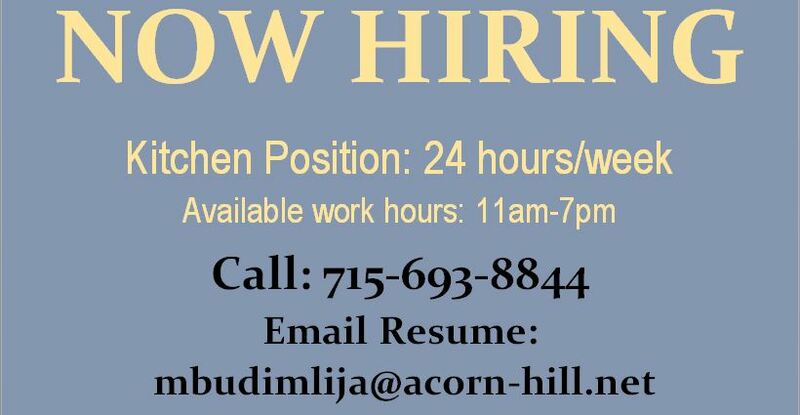 Part-time Cook/Dietary Aid: Ideal Candidate has a positive attitude, is detail oriented, dependable, serious about food presentation, and must be comfortable cooking for and interacting with elders. Excellent command of food and cooking basics required. Must be able to follow recipes and direction and work in a fast, clean and efficient manner. Paid meal during shift work. Kitchen Position: Kitchen help needed for 24 hours/week. Must be available to work between 11am-7pm.